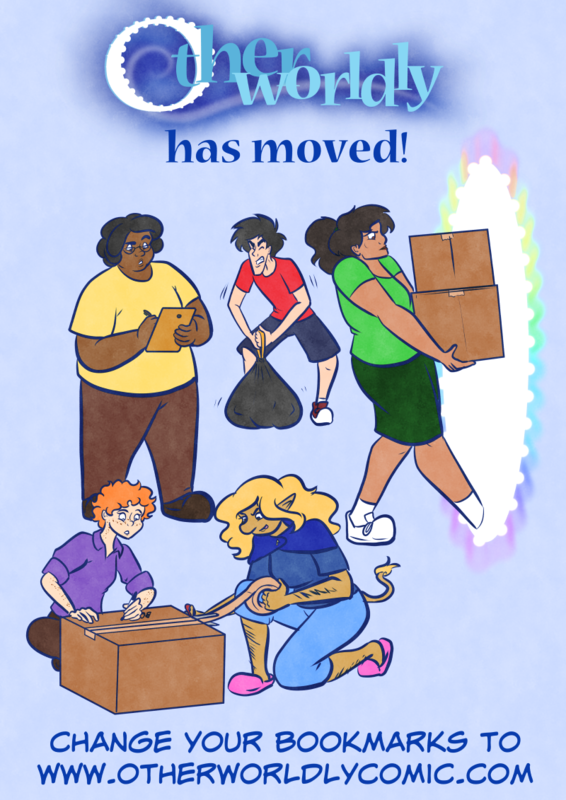 That's right, after almost 2 years on ComicFury, Otherworldly is finally moving to its own domain! 1. You can find the new site here. 2. The Tapastic backup will remain ongoing for now, so you don't have to change anything there. 3. I am new to Wordpress and the Comicpress template, so if you see anything that needs fixing, please let me know! Thanks, and here's to more years of Otherworldly! Otherworldly by Becky Hopkins is licensed under a Creative Commons Attribution-NonCommercial 4.0 International License.